March 25, 2014 – Christina Motley attended the Business Alliance Connection Spring Expo, which was held at Raleigh’s Capital City this week. The annual event was a showcase and networking opportunity for members of the Downtown Clubs of Raleigh, Triangle new businesses and members of the public to share their products and services. More than 50 exhibitors represented a diverse range of businesses from professional service firms, retailers, health providers, nonprofit organizations, banks and more. “I enjoyed visiting with the various talent within the Triangle community and making new connections that I hope to see at future events,” said Motley, who serves as a Board Member of the Business Alliance, a club within the Downtown Clubs of Raleigh. Motley and her team kept true to her brand while manning a red and black themed table. 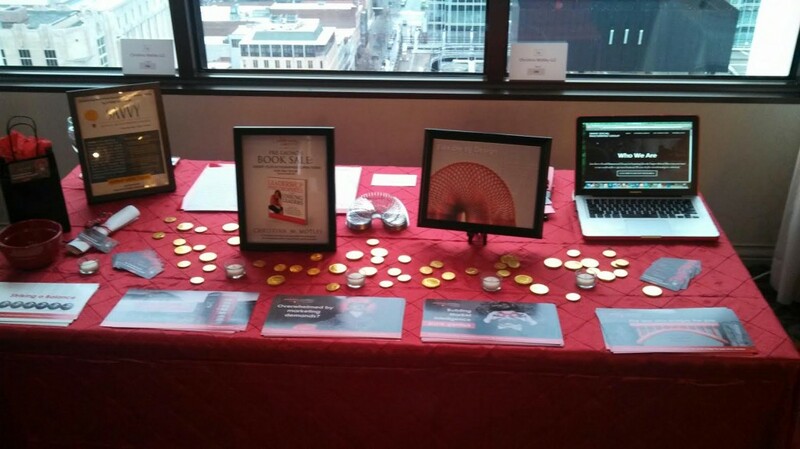 Gold chocolate coins were scattered over the table to represent their proven track record for delivering the highest Return on Investment (ROI) for national clients. Traffic was steady, and visitors were invited to sign up for the new Savvy Social Mastermind Group or pre-order Motley’s second book, Leadership Philosophies from Unsung Leaders. At the end of the event, two door prizes — a Slinky (be sure to catch our blog next week) and a one-hour free branding consultation — were awarded to attendees. The Downtown Clubs of Raleigh, which include the Capital City and the Cardinal Club, provide a comfortable atmosphere for industry, professional and civic leaders to gather, conduct business and socialize. Their events are designed to fulfill the needs of their members and to provide an environment for successful networking. The Downtown Clubs are part of ClubCorp, a Dallas-based firm founded in 1957, which owns or operates a portfolio of more than 150 golf and country clubs, business clubs, sports clubs and alumni clubs in 25 states, the District of Columbia and two foreign countries. If you would like to visit the Club as Christina’s guest, please contact her directly at Christina@christinamotley.com. 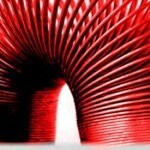 Introducing New Virtual Social Media Mastermind Group; Try it FREE for a Mo... What Does a Slinky and Marketing Have in Common? Everything.